Today, I let my little girl go. Well, at 15 she’s not really “little” anymore, and she’s starting an amazing new chapter of her life at a special, well-known performing arts high school. She auditioned and got in and I’m so unbelievably proud of her for doing so. And simultaneously, I’m absolutely devastated to lose her from my daily life and home. Caroline moved out from the Midwest to live with my wife and I over five years ago. 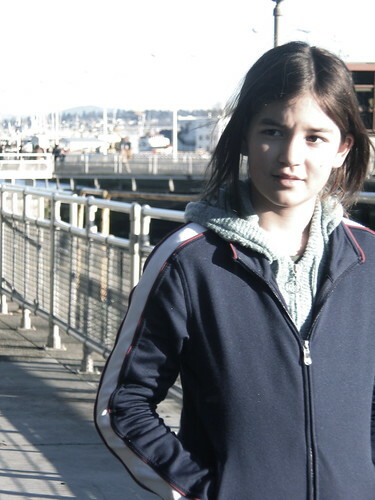 She was so little…a tiny little ten-year-old. Being born shortly after my divorce, even though I visited twice monthly, she never really got to know me well. So the last five years have been huge…both for her and for me. After the divorce, I could find no real work in my field in town, no real possibility of earning enough money to stay above the bare minimum, so I moved to Washington DC with the promise that I would be back every other weekend no matter what. I kept that promise religiously for the next five years. When the bubble burst and the economy cratered, the trips became less frequent and I began to miss my kids more and more. When Caroline decided to move out, it was like a lightbulb went on inside me. I could finally be deeply involved in the life of at least one of my children. When she came out, she was shy and uncertain – she needed a lot of attention and care and we gave it to her. And we got her involved in a lot of activities. She participated in oceanography programs, cultural programs, took field trips, even got accepted to the People-to-People Leadership Summit at Stanford University. She took up karate, sewing, drama and guitar lessons and got really good at all four (I joined her in karate and she blew right past me in short order). 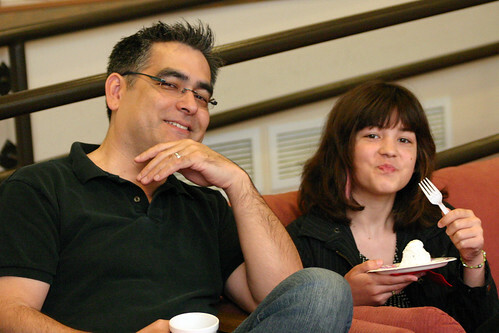 I took year after year of music lessons as a kid, ending up as one of the best high school pianists in Michigan, and Caroline (all three of my kids, for that matter) are light-years past me in a far shorter time. She became extremely responsible during this time – I never had to wake her up for school, never had to ask her to do her chores, never had to push her to do homework. She found the drive within her to reach out for what she wanted – even volunteering at the local public library in the hope that it would help her get into a great university after high school. Amazing. I had to be pushed from the word go. She even taught herself how to bake! Socially, things were more challenging for her. It’s hard to make friends when you’re the new kid in school. Friendship in her new elementary school came easily. Middle school went fine. But when she got into high school, things got more difficult. Tough enough getting through high school without being the new kid, hunh? We sent her to the local public high school: the diversity was a huge blessing for her, but the lack of school spirit or close friends really was daunting for her, even painful at many points. The very responsible, open-minded and blossoming young woman was running into the realities of friends making bad choices and even being extremely cruel. That really hurt and was starting to slow her down and depress her. The new school represents a chance to not only be among artsy, musician kids but also to find new friends that will be there for her for life. She’ll be with her mom and sister, and that will be good for her too. Letting go of her is, by far, the hardest thing I’ve ever done. I can’t come pick her up from school, or drop her at a concert, or watch her test for a new belt in karate. I can’t cook her a big Sunday morning breakfast like I did, or take her to sit at the counter at our favorite local diner. I can’t try to make her friends laugh or be the goofy, camera-toting dad recording all her school activities. I can only watch from afar, send her my love, and encourage her to keep going. She’ll do great. But god…I miss her so much already.